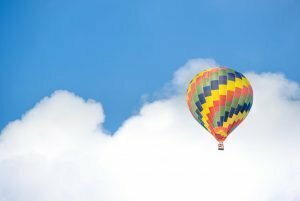 Is everything in the cloud? A high-level overview of the differences between cloud and on-premise solutions for contact centers. It seems as if everyone is talking about “in the cloud,” and with all the noise around the cloud, the common perception is that it must be better, making many organizations jump on the cloud bandwagon. However, it is important to understand the differences between cloud and on-premise solutions and what works best with your current architecture before making a purchasing decision. Depending on the resources needed from your organization, deeper technical knowledge about the current architecture may require more technical knowledge from your I.T. team. However, a high-level overview is helpful when explaining the pros and cons of both solutions to decision makers. Let’s take a look at cloud vs. on-premise for 4 main areas. When comparing pricing between cloud and on-premise solutions for your contact center, it depends on whether your organization would prefer to pay a large sum initially or have on-going costs throughout the lifetime of the product(s). On-premise solutions could be more expensive upfront with the purchasing of the licenses, but also could require additional hardware purchases like servers, phones, computers, etc. and the physical space necessary to house them. Cloud solutions usually come without a lot of upfront costs; however, on-going costs usually include a monthly subscription plan. Due to the different natures of on-premise and cloud solutions, there is an obvious choice between the two for organizations who are experiencing significant growth without resources to manage the technology. While an on-premise solution will require additional hardware installations, which means more expense, a cloud contact center can usually support as many or as little agents with little external investment. The control an organization has over their contact center’s processes is unique to each organization due to security, complication of processes and more. If your organization prefers to keep close control of the processes and data that are essential to business and operations, an on-premise solution is the better choice. If support hierarchy and process control can be handled externally, or perhaps your organization is glad to have these handled externally, a cloud solution is a stronger choice. The reliability of your contact center’s stability may or not be affected based on the solution you choose; however there a few considerations to evaluate in case they arise. An on-premise solution may result in higher quality of calls; however, if there is a physical breakdown, performance may be stopped or negatively impacted. Cloud solutions are normally not affected by the concerns an on-premise solution brings, as long as the Internet is up and the connection is strong. In summary, there are a few major benefits to each solution. On-premise gives you the ability to purchase only the equipment and systems you need, allows for easier budgeting because the costs are up-front and the knowledge that your confidential data is stored in-house securely. On the other hand, cloud systems reduce overall costs with a subscription plan, are easier to deploy and improve scalability. Often organizations that choose on-premise solutions are relatively established and unlikely to change drastically in the future, or have already made large investments in on-premise infrastructure and want a best-of-breed solution that fits their exact requirement. Businesses that want complete control over their data and technology often select an on-premise solution also. Organizations that have multiple locations, want an all-in-one solution for a relatively low cost or that are experiencing significant growth quickly often opt for a cloud solution.